If you have looked at the other BYC pages or my blog, you will see that I am big into reusing stuff I have around the house or garage or anything I can recycle whenever it is practical. This is my chicken feeder that took less than five minutes to throw together. Round take out food container/ bottom half (from a big salad at costco my mother had) About two inches deep. 1. 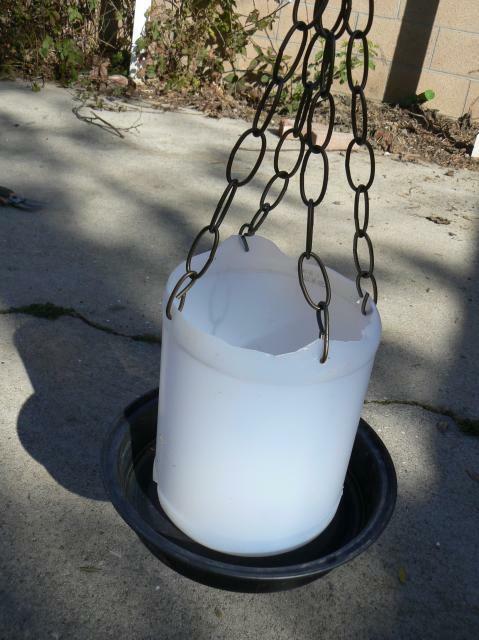 Cut 3 small 1 inch sized holes in the bottom of the jug for the feed to spill out of into the dish. 2. Cut the top off the jug. 3. Drill through the base dish into the bottom of the jug in 3 places. 4. Reach inside the jug and add screws through the pre-drilled holes. 6. 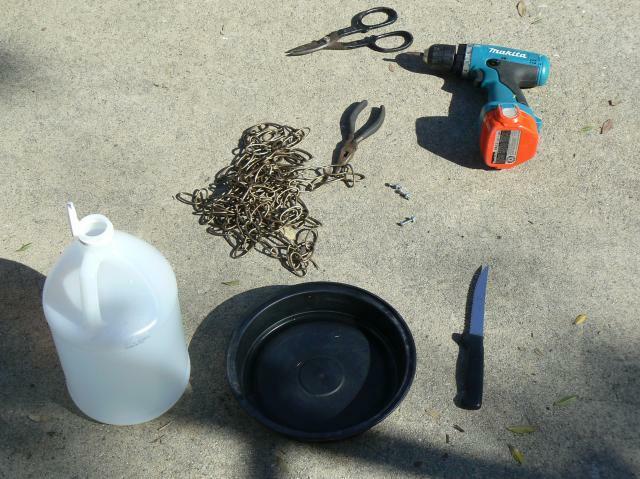 Cut or drill holes in the top portion of the jug to feed the chain through. I used 4 lengths, but 3 could work also. 7. 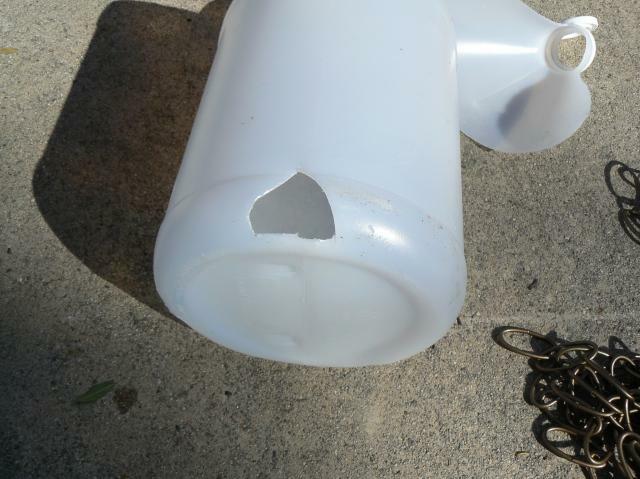 Cut lengths of chain to create a hanger and reconnect together through the holes in the top of the jug. 8. Fill and hang in coop. Costs: No items were purchased for this project. What I would change: *This incorporated the change. 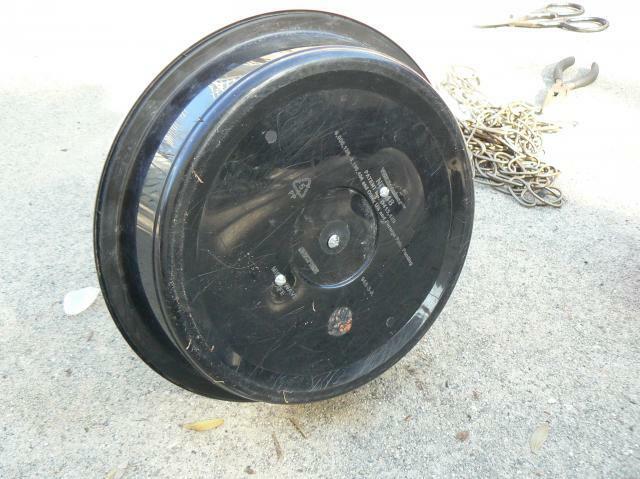 It is my second one of this type and the previous one had a frisbee for the base. I like this one better because the base is deeper on the take out dish and closer to the jug making it harder for the chickens to bill the feed out. N F C and Meghanelainebrown like this. Neat idea and good use of lists. "Clever use for recycling items." I love your feeder. It's simple yet very effective. I would rig some type of top though, for myself, because of both the humidity and fear of introducing pests. It's what I don't like about the galvanized commercial feeders also. could you use a milk jug instead? ?